Trail mix has got to be the most versatile snack out there. I mean, you can add whatever you want, leave out whatever you don’t want, and make it with whatever you’ve got on hand. Plus, you can make it in a minute or less! 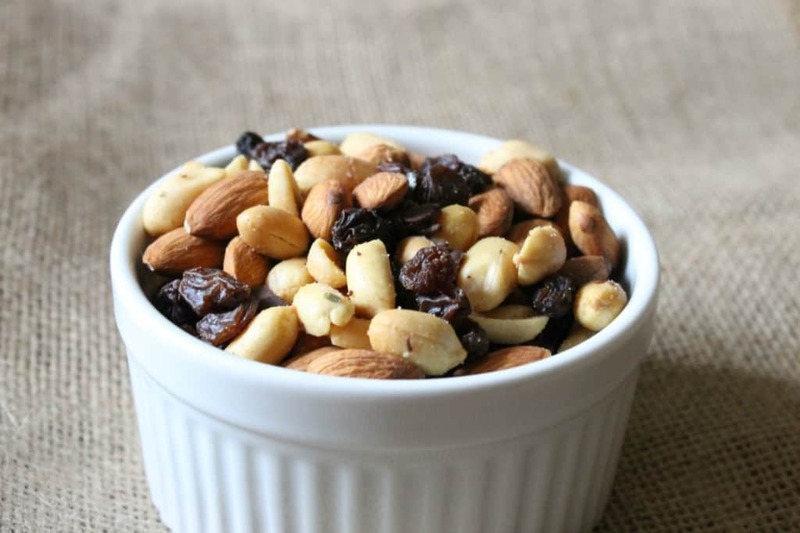 I like to keep a small container or bag of trail mix in my purse at all times, so whenever hunger hits or cravings strike, I can knock them out with a tasty and nutritious snack. I have been taking a lot of trips to the hospital to visit my grandfather who is in rough shape this past week, and having a bag of trail mix with me really came in handy. 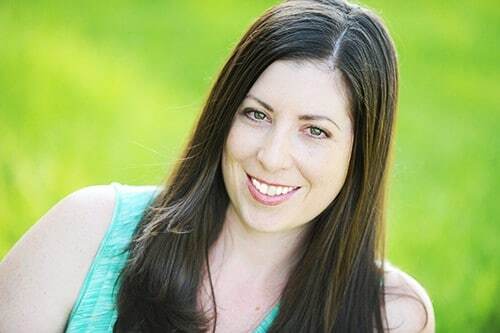 Most of the time I was there, he was sleeping and I was reading in a chair, or—when he was awake—talking with him, but I never wanted to leave him alone in his room to just to go grab a bite to eat. That bag of trail mix was a lifesaver. Some of my favorite add-in’s include chocolate chips (I try to shoot for organic), dried blueberries, dried mangoes, coconut flakes, and cacao nibs. 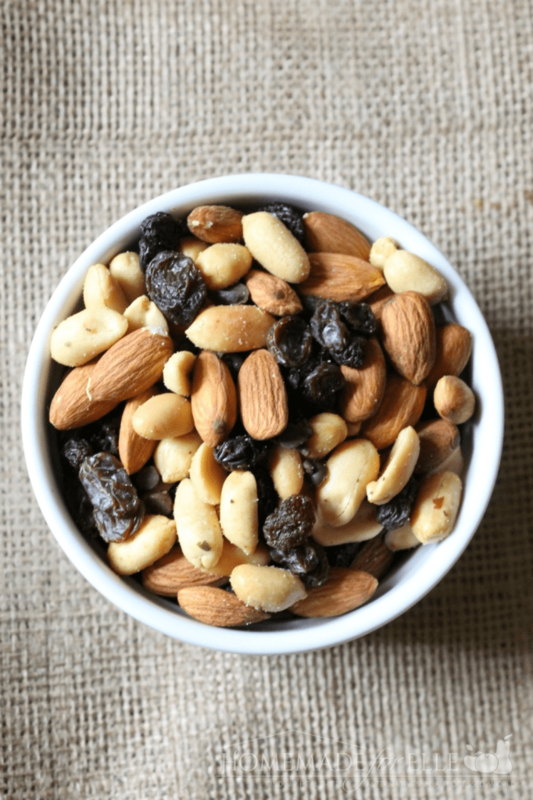 The best thing about trail mix is that you can add virtually any ingredient you want—from peanuts to crackers—and have yourself a delicious, unprocessed snack whenever you need it. 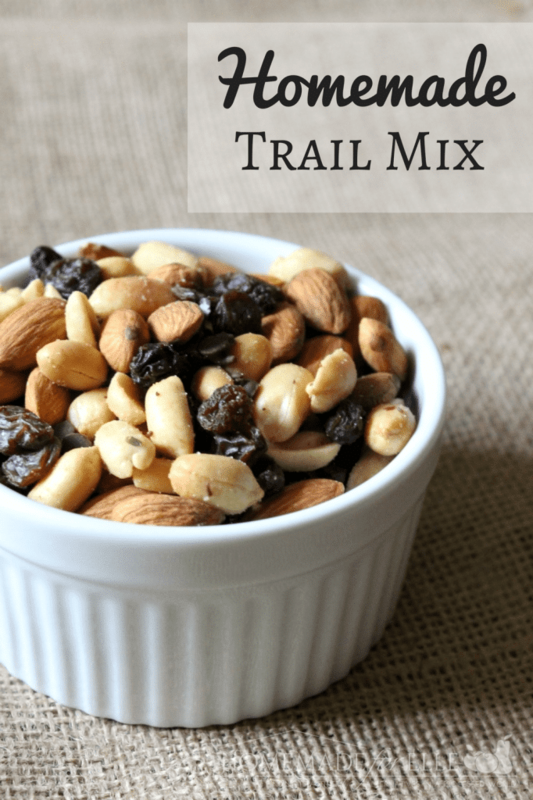 Learning to make your own trail mix at home is so simple and I really hope you try it. It’s a great alternative to processed snacks and is super nutritious. Mix all ingredients together in a small bowl. Store in an airtight bag or jar for 2-3 days.